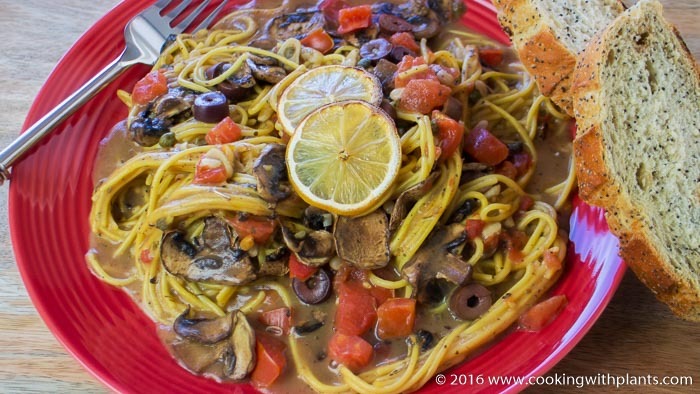 This oven cooked Mediterranean Mushroom Spaghetti makes lunch or dinner a breeze! It’s a one pot dish, so just layer everything in a baking dish and let it cook. So simple, so tasty. Enjoy! Preheat oven to 190C / 380F. Layer all of the ingredients in a baking dish in the order written given. Finish by spreading the lemon slices over the top. Bake for 30 mins and stir through to break up the spaghetti. Bake for another 5 to 10 minutes until spaghetti is cooked to your liking. TIP: Also great with Macaroni! This is dinner tonight. It is freaking amazing! And it was so easy and quick to put together. Thanks, Anja. You’re the best! Love all of your recipes. Please keep them coming. What dried mixed herbs did you use in this recipe and how much? Cooked this recipe with Soba noodles and it was lovely.Today I am cooking it with whole meal Penne pastaand I’m sure it will be just as good Thank you for your recipes. I am making his now. It is ready for the oven. I am so looking forward to eating it! I love your recipe’s Anja! Greetings from Canada. Just wanted to say thank you for this recipe. My husband and I have just had it for lunch and it was delicious. We have now printed out several of your recipes to try and we will definitely be coming back to your site. We have changed our diet due to some health issues of my husband and have both been better for it. He has lost over 50 pounds over a 3 month period and I have lost 25 pounds in 3 1/2 weeks. Again thank you. Fantastic! Well done on your journey to health! Anja, thank you for your recipes. I look for vegan recipes that my meat loving husband will eat and yours certainly fit the bill! YUM! It was too hot to light the oven today, so I made this in a large non stick skillet with glass cover, on the stove, and it came out amazing! I used medium shell pasta instead of spaghetti because that’s what I had, and I layered the ingredients as described in the recipe. The only thing I added to the layering was some fresh basil. I cooked it on medium heat, covered for about 20 minutes, then stirred it up. I took the cover off when the pasta was nearly done so the remaining liquid would cook off. Sorry, I didn’t really time it, I just kept an eye on it in case I needed to either add more stock, or to take off the cover to evaporate some liquid. I didn’t end up adding any stock, but I did have to let some evaporate, after which it was perfect. When it was done I threw a handful of nutritional yeast over all, and it was delicious! This is going on my regular rotation. Thank you! So good and so easy! I am anxious to try this! Plan on cutting liquid a bit and using zoodles. P.S. 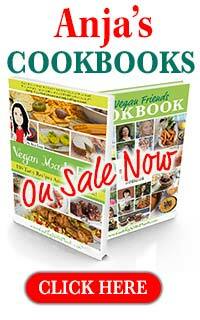 I love your cookbook VEGAN MADE EASY. Hello from Chicago! 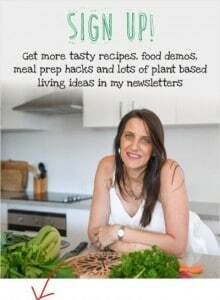 This is the best site I’ve found for plant based cooking.. Love the inventiveness of the recipes, your free-wheeling way with spices and herbs, and the videos you provide. Tried the spaghetti tonight. Delicious! Adjusted my oven to 400 degrees for second baking and pulled out after 15 minutes for perfect finish. Thanks for your work in elevating Vegan cuisine. 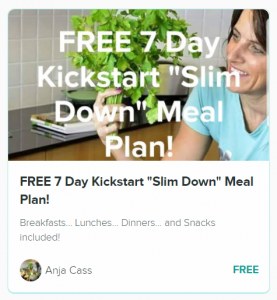 Hi Anja, Thank you for all of your great videos and recipes! For health reasons I have recently switched to a plant-based diet, and your site has been an invaluable resource. Tonight I tried the Oven Cooked Mediterranean Mushroom Spaghetti, and the flavor was great. I will definitely be attempting the recipe again, but I am struggling with the gluten free noodles. The ones I used tonight did not turn out very well, and I was wondering if you have a specific brand/type you favor or any advice on how prepare gluten free pasta? Thanks for your feedback. Maybe try cooking your pasta a few minutes less. They can go gluggy very quickly. Alternatively you could also try to make some raw zucchini noodles by spiralizing fresh zucchini.